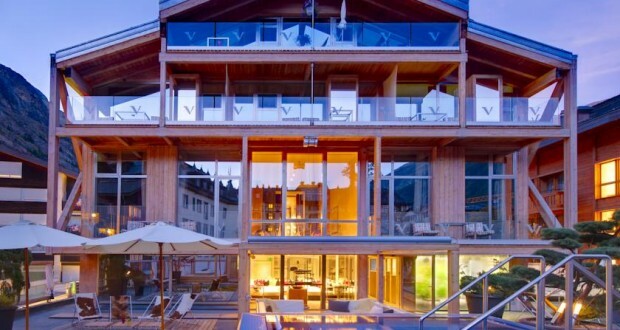 Located in the center of Zermatt, Backstage Boutique Hotel is a newly designed hotel. Opening in December 2010, it offers uniquely furnished rooms with open fire places and free Wi-Fi. All rooms at the Backstage Hotel feature a private balcony, a CD and DVD player, a minibar and bathrobes. Most of the rooms also have a sofa and a free standing bathtub, overlooking the Swiss Alps. The spa area offers a jacuzzi, a sauna, a steam bath and a massage room. Guests can relax on the Boutique Hotel’s terrace or bar. Backstage Boutique Hotel is within walking distance of Gornergrat train and Sunnega train. A ski bus is also close by. A tennis court and a skating rink are in front of the hotel.